Each playroom follows a daily routine, depending upon the interest of children and the season. This routine reflects the interests, needs and developmental levels of the children, including some free play time and some small and large group experiences. This routine is flexible and alters to meet the needs of the children. 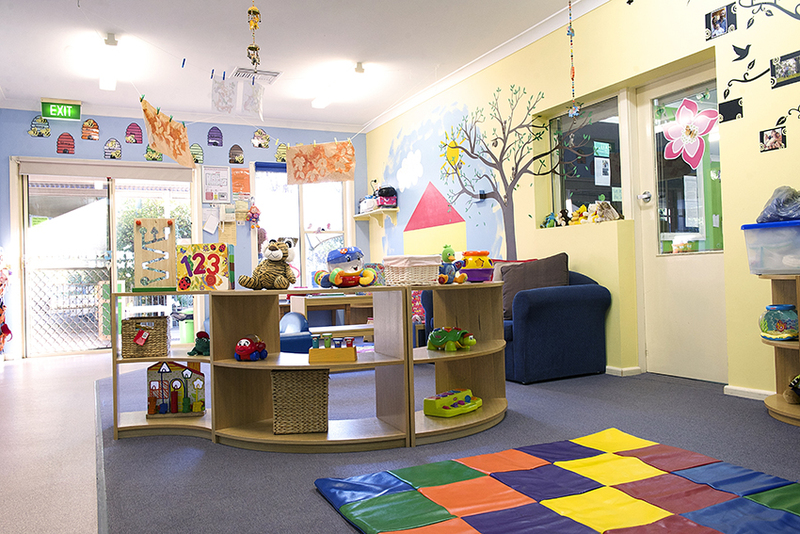 The children in the Echidna room are given individualised care and education from the qualified Educators in the room. The Educators focus on developing and extending the children’s independence, self help skills, social skills, problem solving skills and fine and gross motor skills through a range of play based experiences. The children’s interests and needs are incorporated into all experiences throughout the day as a way of creating a fun, stimulating and educational program for the children. Learning stories are developed to document their play and learning each day and displayed in the room for families to see. The Possum and Koala rooms are for children aged from 6 weeks to 2 years. When parents enrol their baby or toddler at Rainbow Cottage the educators work with the family to learn all about the child’s individual needs. They will then endeavour to continue the toddler’s home routine at Rainbow with the aim of ensuring a smooth transition to day care. As babies and toddlers are constantly growing and their needs change, our educators will consult regularly with parents to ensure each child’s individual developmental requirements are met. There will be plenty of stimulation with activities to challenge the children physically and mentally to learn and grow. Most importantly our educators are always mindful to provide a warm, safe, friendly environment for the babies and toddlers in their care. 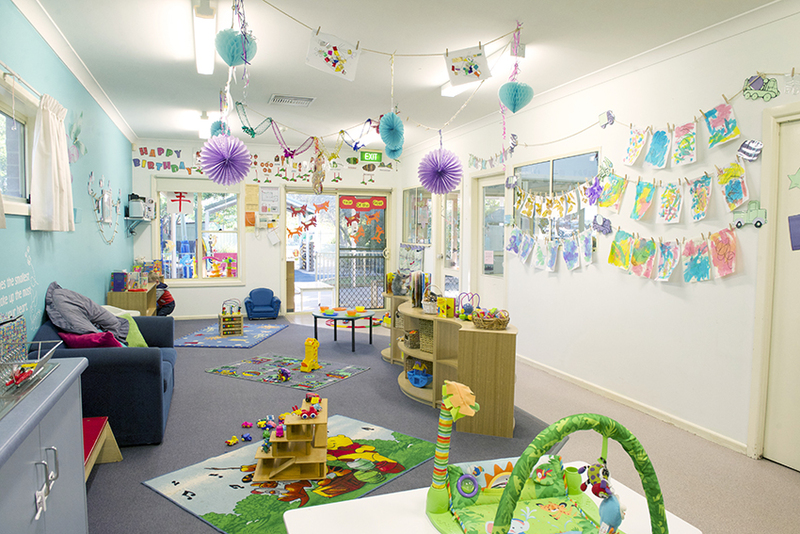 In the Wallaby room, the qualified Educators offer an individualised play based program for the children. To do this, we incorporate the children’s interests and needs into the daily experiences, group times and routines throughout each day. We use this as an opportunity to develop all required school readiness skills in a way that is fun, interesting, exciting and stimulating for the children. Learning stories are then written and displayed in the room for families to follow the learning process. On top of this, we also incorporate a more formalised preschool program which looks into teaching the children their phonics, numbers, shapes etc through unique and stimulating group times.